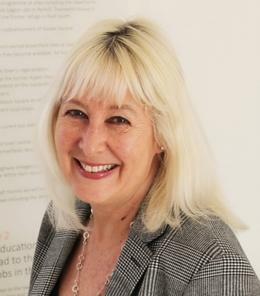 Hello, my name is Susie Kemp and I am the Chief Executive of Swindon Borough Council. At Swindon we have the ambition not only to be one of the best local authorities, but also to be one of the most modern and forward thinking. Swindon is a thriving town, consistently ranked highly compared to cities across the country and, as a council, we are constantly working to further improve the town for its residents and businesses. We have a clear vision for Swindon with four key priorities and 26 pledges that we believe will deliver that vision. We are focussed on delivering high quality services for our residents that are modern, efficient and effective, allowing them to engage with us in a way that suits them, provides value for money and good outcomes. We are looking for exceptional people to come and work for us. Our people are connected, brave and resilient and everything they do is working towards our vision. If you have these attributes then we want you. It’s not just about your experience. If you have the right attitude, the drive to make a change and a mind for new ideas then we want you to join our team. In return, we can offer you the chance to join one of our excellent leadership development programmes: Aspiring Leaders and Future Leaders. Each of these is tailored to improve and finesse your leadership skills at all levels of your career and ability. Please take time to learn more about our roles, offer and vision. I hope you’ll be joining our team soon and if you do, I look forward to meeting you.